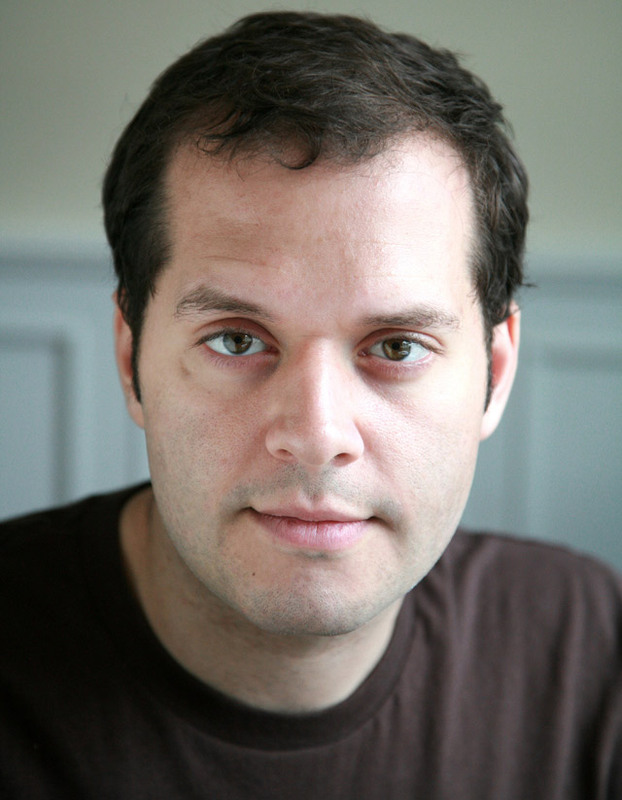 Jesse Brown, the host of TVO’s Search Engine. Search Engine, the critically acclaimed and wildly popular CBC tech podcast, is moving to TVO. Since June 2008, when budget problems forced the CBC to cancel the Radio One version of the program and cut the show’s staff, the program has existed in a kind of uncertain limbo. But now, with the move to TVO, the show’s future has been secured. Earlier today, Torontoist had a chance to talk with the program’s host, Jesse Brown, about the show and the big move. Torontoist: How would you describe Search Engine? Jesse: It’s an internet affairs show. It’s about politics and culture through the lens of the internet. We try not to make it like it’s a tech show…There’s really no aspect of politics or culture we can’t talk about. How did the show first originate? That was really interesting to me, because I had done work before for a show called The Contrarians a while back on the CBC. The idea of the show was unpopular ideas that just might be right, and that was the first time I discussed copyright. Ironically, after the show was done, there was a lot of interest in listening to the back episodes. 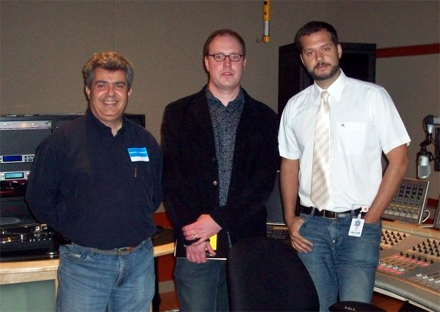 CBC podcasting was just getting started back then. I didn’t own copyright to the episodes, and there was no way for people [to listen to them]. Even to this day, you can’t get that show. Canadians paid for the show. So, I started thinking, everything a public broadcaster does should be accessible and open. Alfred Ayache, founder of the “Saving Search Engine” Facebook campaign; Chris Boyce, CBC’s director of programming; and Jesse Brown. Photo by Alfred Ayache. Are you sad to be leaving the CBC? Well, I hope to not be leaving…As far as I know, I’m still welcome to file stories. I love the CBC, and I hope to continue to work with them in the future. I’m sad about Search Engine leaving the CBC, but I’m incredibly excited about bringing it to TVO. When did TVO first show an interest in picking up Search Engine? It happened really quickly. I found out that the CBC was cancelling the show and I was at the Mesh Conference and my buddy Mike Miner, who works for TVO, was there as well. I told him the news, because I was just thinking of continuing Search Engine independently…I thought it’s still got value just to do it that way…Some management people from TVO were at the conference as well, and [Mike] immediately went to them and brought them the possibility. Really, it had a lot to do with Mike just championing the idea to people there…I was really pleasantly surprised at how nimble TVO was in making it happen. Your show’s pretty popular. Do you know how many people actually subscribe to the podcast? You don’t get that data. What we get is total episodes downloaded. By that metric, we have always been an incredibly strong show. In the last seven weeks, after a couple stories we did got favourable attention—first at BoingBoing and then elsewhere—our download numbers shot up like 400%, and then stayed there. Often you’ll get a really hot story that will result in one episode being downloaded like crazy, but it seemed like in the last two months of the show things reached this new level. Did you ever think that the show would develop such a large following on the internet? You’re making a show that has a lot to do with internet culture, so you certainly hope that it will be popular online. But, we’ve had the CEO of Craigslist as a columnist and Cory Doctorow as a columnist. We’ve had the top story on Digg, and Apple’s iTunes music store has put us on their podcasts of the year list. That kind of top-level attention was completely shocking and awesome. A lot of people do things that are similar to what Search Engine does, but I can’t think of another program that really replicates the social, political, and cultural coverage of how technology is affecting our lives. Thanks. I think that part of it is that if you’re going to be doing tech stuff outside of a public broadcast context, then you’ve got to make it work financially and it just makes total sense that you should be covering gadgets and doing stuff that companies are going to want to attach advertising to. A lot of our content is very critical of the industry side of technology and the telecom industries…If we were in the private sector, I don’t know that [we] could do a show like this…I think there’s a value to public broadcasting, and I think that there’s a place for public broadcasting in this new…[pause]—I hate to say “new media.” It’s not a stretch to bring public broadcasting stuff onto the internet. It’s a really good match…Some people make assumptions: “Oh, it’s the internet, everyone is doing everything.” But there’s still lots of opportunities. A possible new logo for the show, adapted from a design by Search Engine listener Josh Evans. When you move to TVO, will the format be changing? I don’t think so. One thing that happened when we went from radio to podcast was that [shows] didn’t have to be a specific amount of time each week. This is a wonderful thing…It always felt strange when there was some week when a copyright bill went crazy and a hundred thousand Canadians were protesting it, and the show would only be a half-hour, instead of an hour. [Other weeks,] when nothing happened, we had to search for something and the show would be a half an hour instead of twelve minutes. With a podcast the show can be as long as it needs to be. I love the ability to just let an interview be, as long as it’s interesting and informative. Before your show was cutback by the CBC, it had a news magazine style format. Do you plan on bringing that format back? I think it’s premature to say exactly what the plan is, but I can tell you that the people at TVO have been really enthusiastic about Search Engine. After a year it felt like things were getting smaller. I now get the sense—talking to Mike and other people—that there’s an appetite for opportunities and people want to try new stuff. 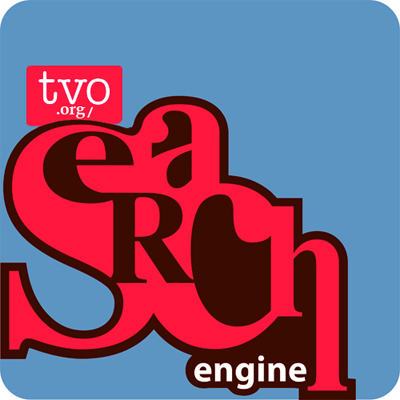 When is the first new TVO episode of Search Engine coming out? The first episode will come out next week. What can we expect from future episodes? I hope to clean the slate…I said in the last episode [on the CBC] that the net neutrality hearings are coming, and copyright is going to go through a second bill. There’s just a whole lot of work ahead. This internet thing, it just doesn’t seem to be going away. What two episodes would you recommend to someone who has never heard the show before? For sure, my interview with [Jim] Prentice in the last episode [on the radio], where the dude hangs up on me, and the one with my colleague Geoff Siskind (he used to make the show with me); he did a documentary on Shannen Rossmiller, this woman who fights terrorism from her suburban home. TVO’s new Search Engine RSS feed is up already, and starting next week, new episodes will be available. All images courtesy of Jesse Brown.